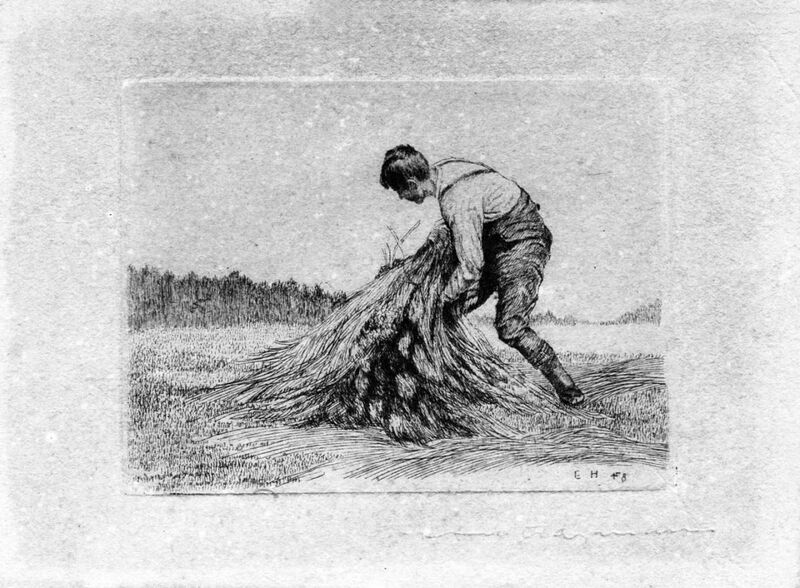 A fine early twentieth century German etcher, Ernst Haymann first studied privately under Von Knirr before entering the Munich Academy to study etching techniques under Peter Halm and Raab. 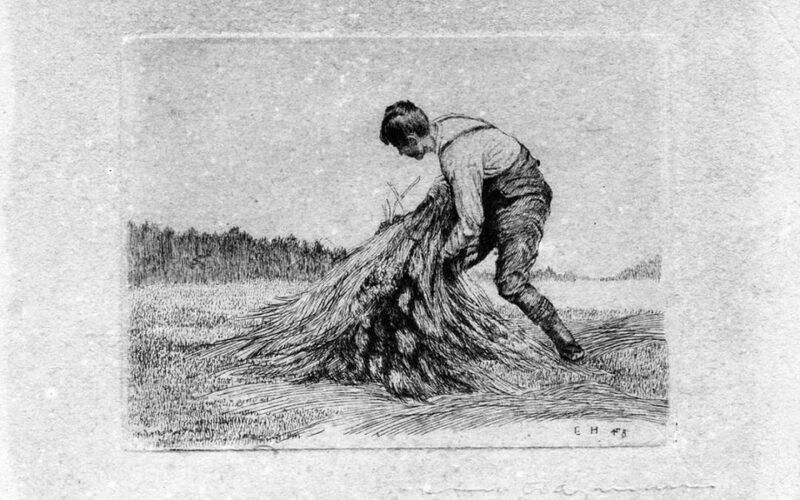 During his career, Ernst Haymann was equally received for both his figure studies and landscape compositions. In this latter category he etched views in Italy, France, Hungary and throughout Germany. Printed upon hand-made, laid paper and with wide margins. Signed with the artist’s monogramme in the plate and dated, ’19’. 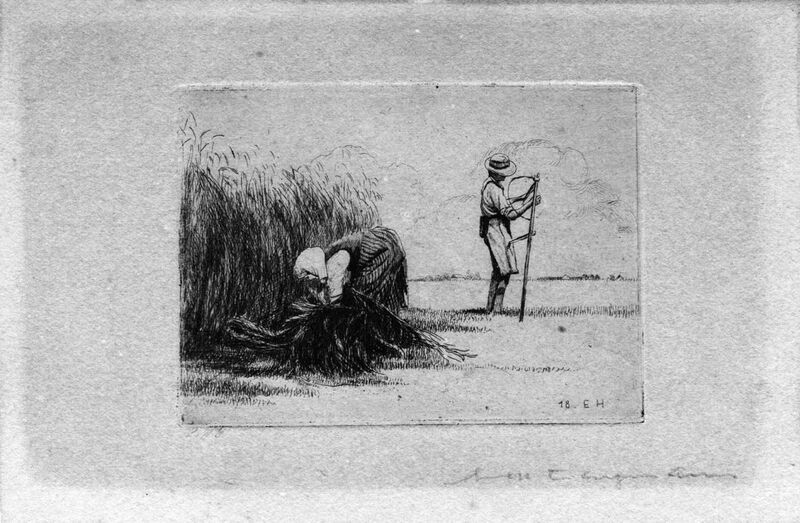 Also the etching is signed in pencil by the artist along the lower margin.